Packed with honest reviews and inspiring travel stories, Australian Traveller is the most authoritative and trusted guide to travelling this great country. It's no wonder that it's Australia's biggest selling travel magazine. A subscription makes the perfect gift that lasts all year! 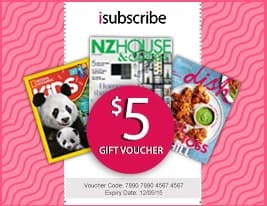 Be the first person to tell us what you think about Australian Traveller (AU) and you'll save $5 on your next purchase!